Dialpad is delighted to announce the next breakthrough in our mission to rid the world of the deskphone. In a game-changing move, we are joining forces with Softbank Group Corp in an exclusive partnership to bring Dialpad’s pure-cloud business communications solution to Japan, one of the world’s largest economies and technology markets. The age of the Anywhere Worker is coming to Japan as more than 2,200 SoftBank sales reps begin to offer Dialpad to their customers. Softbank is the largest reseller of G Suite in the world, and with an ambitious and progressive outlook that mirrors our own, Dialpad could not be more thrilled to be working with Softbank exclusively for the next three years. Remote working and flexible hours are no longer perks reserved for the lucky few in Japan and around the world, but simply the reality of our always-on, mobile societies. 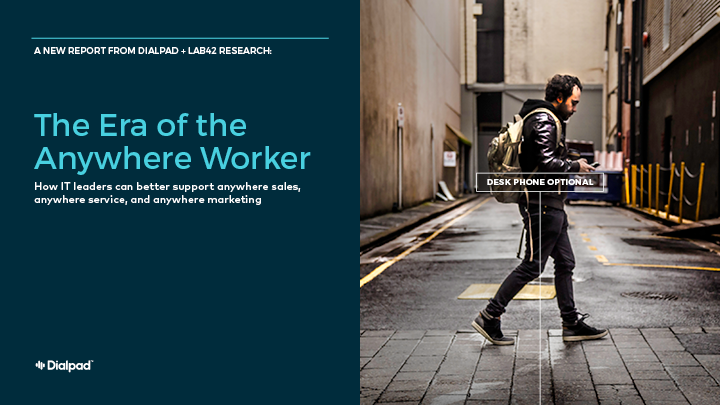 With as much as 81% of workers spending time away from their desks during the working week, working on the go and communicating from anywhere is an absolute necessity for success. It is no surprise therefore, that 75% of employees prefer a mobile smartphone over a desk phone for business calls, often choosing their own devices over those provided by their workplace. With repercussions of this including security, privacy and financial issues, Dialpad founders realized it was time to get real with how we work and communicate today, kill the desk phone and create a business communication solution for tomorrow. Craig Walker, CEO of Dialpad. To kick off the partnership with Softbank, Dialpad is landing in Tokyo today at the Salesforce World Tour. We invite you to stop by our booth on December 13th to be amongst the first in Japan to learn about the Death of the Desk Phone movement and what it means for your business. empowers your Sales team to do what they do best by turning your favorite CRM into an enterprise-grade business phone system. With easy access to rich customer data and with and GSuite, never miss an opportunity as you close more deals, solve more tickets and collaborate more efficiently, from just about anywhere.